In summer of 2012, just a few months after we met and began talking on the phone and through email, we had an idea that we thought would make a great book. 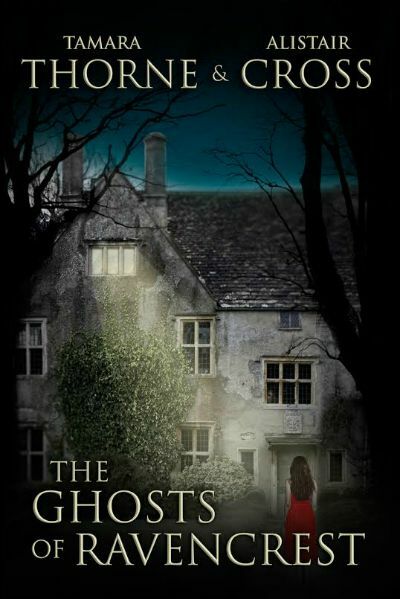 It was a ghost story, set in a large lodge in the San Bernardino mountains in California. It involved a cop, a New Age writer, a serial killer, and of course, a ghost. Shortly after, we got another book idea which we promptly began. But the haunted hotel story beckoned, and we eventually put the other novel on a temporary hold in order to finish our first story. In late May of 2014, we rolled up our sleeves and started digging into it. It took the expected series of twists and turns, quickly becoming everything we’d wanted it to be – and more. In the interim, we began writing the serial novel, The Ghosts of Ravencrest, and between the release of five installments of that series, we were hard at work on our original novel, which we’ve titled The Cliffhouse Haunting. As much as we’ve loved writing The Ghosts of Ravencrest, we’ve been especially looking forward to the release of a full-length novel. And today is an extra special day because The Cliffhouse Haunting has officially been released! And it’s available now at Amazon! We’d like to thank all the folks who helped us along the way. Elderlemon Design, for a great cover. Michael Aronovitz, for his awesome review of Cliffhouse, which can be read at Hellnotes. Our spouses, to whom this novel is dedicated, and the various readers who took the time to read it before its release. 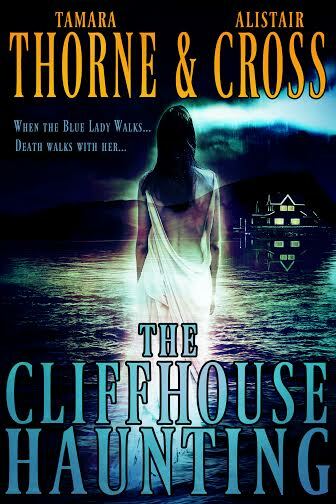 Click the pic below to buy your copy of The Cliffhouse Haunting. 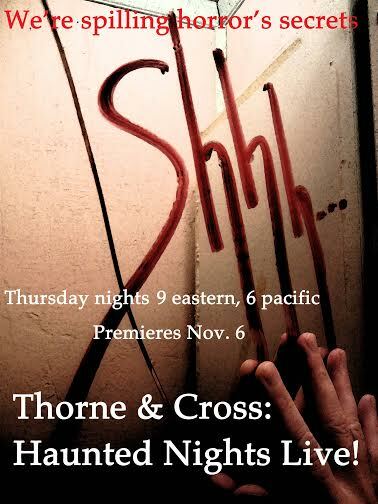 Coming in March, the collaborative debut novel of horror authors, Tamara Thorne and Alistair Cross! Cliffhouse Lodge has been the center of the little town of Cliffside in the San Bernardino Mountains of southern California since it was built in 1887. Overlooking Blue Lady Lake, Cliffhouse was built by the Bellamy family and has been newly renovated by owners Teddy and Adam Baxter-Bellamy and their daughter, Sara. In the 1880s, Cliffhouse served as a restaurant, hotel, cathouse, theater and tavern, and during Prohibition became a hangout for rum runners. Later, its hot springs attracted the wealthy; even presidents have stayed there. Today, the lodge is famous for its luxurious accommodations, spa, fine dining… and its ghosts. Although the cathouse and rumrunners have been replaced by a miniature golf course and a carousel, Cliffhouse retains its long dark history; darkest during the Roaring Twenties, when a serial killer named the Bodice Ripper terrorized the town and a phantom, the Blue Lady, was said to walk when murder was imminent. Now, darkness has returned. 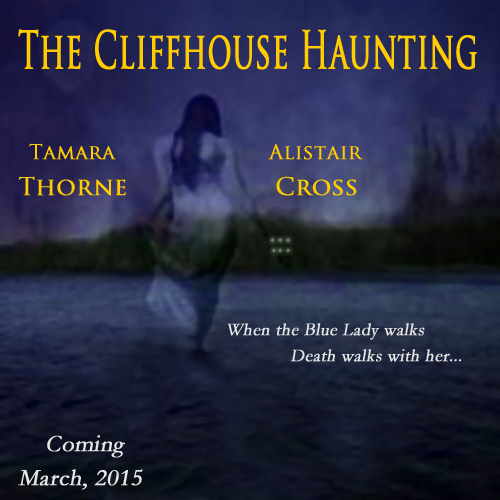 There’s a serial killer on the loose, and the Blue Lady is again walking the shores of the lake below Cliffhouse. Police Chief Jackson Ballou has bodies piling up that can’t even be considered murder victims, yet he knows they are. The Bellamys are losing maids and guests who hear their names whispered in their ears and see wet phantom footprints padding across the rooms, but nothing is as terrifying as the shrieking laughter that echoes through the halls in the dead of night. The town of Cliffside, and Cliffhouse, is dependent on tourism; every weekend there’s something going on, be it a Civil War reenactment, a wine tasting, or Oktoberfest. It’s a perfect hunting ground for a serial killer… and the Blue Lady. Between the murders, the ghosts, Blue Lady sightings, the histrionics of writer Constance Welling, and the antics of the hapless Dr. Siechert who loves making sausage, things are not going smoothly. Chief Ballou’s hands are so full that he can hardly pursue his romance with diner owner Polly Owen. And poor Sara Bellamy may lose her love, Luke Donovan, before they even have their first kiss. Authors Tamara Thorne and Alistair Cross joined forces in 2012 with the idea to write a short story together. One thing led to another, and they have since completed The Cliffhouse Haunting, Grandma’s Rack, which is currently in production, as well as completed five installments of the successful Gothic serialized novel, The Ghosts of Ravencrest. In November of 2014, they began their own horror-themed radio internet show, Haunted Nights LIVE!, as part of the Authors on the Air Global Radio Network, LLC. Tamara Thorne’s first novel was published to great acclaim in 1991. Since then she has written many more, including international bestsellers Haunted, Bad Things, Moonfall, and The Sorority. Her novel, Thunder Road, hit bookstores in September, 2014. Tamara’s interest in the occult, mythology, and folklore began at an early age, and her interest in the paranormal has been life-long. She’s been a speaker for many paranormal groups and been involved in many investigations. She has appeared on the television show, Ghost Adventures, as well as gone on a five-day investigation to an allegedly haunted cabin in Gold Country with co-author Alistair Cross – an adventure that inspired The Cliffhouse Haunting. She has also been featured in various newspapers on the topics of haunted areas and local lore, and has been a guest on Anything Ghost, and many other syndications. Tamara is also a journalist who writes features for several southern California newspapers. See more at: http://tamarathorne.com. You can also visit Tamara on Twitter, Facebook, or at her blog. Alistair Cross grew up on horror novels and scary movies, and by the age of eight, began writing his own stories. He is an avid poet who has been published in multiple collections, and his poetry has been featured on several syndications. His first work of fiction was published by Damnation Books in 2012 under the pseudonym Jared S. Anderson. Alistair’s fascination with the supernatural, combined with an affinity for psychological suspense, has shaped his writing and continues to influence his work. 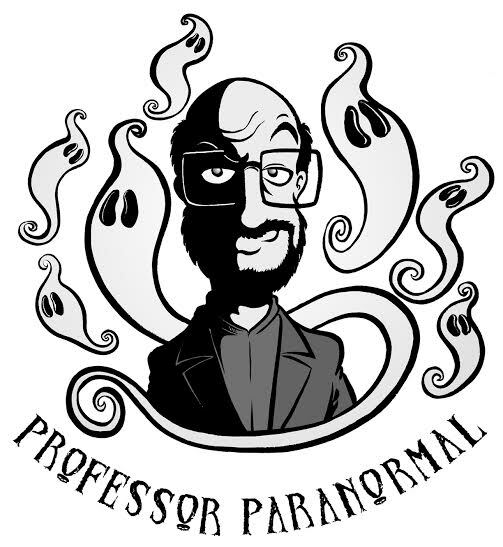 He became involved in paranormal investigations with Tamara Thorne, and their adventure, Five Nights in a Haunted Cabin, was the feature for an episode of Tales to Terrify, on the Lights Out podcast with paranormal expert, Sylvia Shults. Together, he and Tamara have also published articles for several publications, including Crystal Lake Publishing’s Beneath the Lake: On Writing Horror. 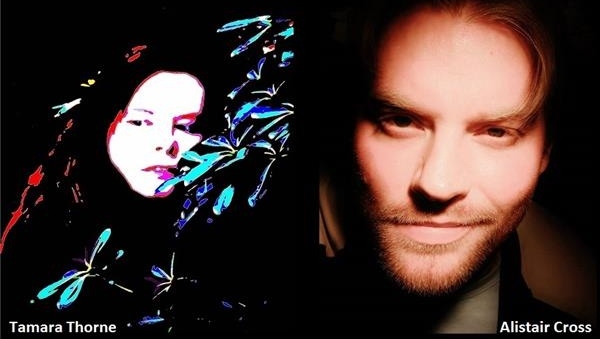 Along with his multiple collaborative projects with Tamara Thorne, Alistair is currently working on a solo novel which he expects to be finished with this spring. See more at: http://alistaircross.com. You can also visit Alistair on Twitter, Facebook, or at his blog, Cross Talk.